The DHHS says they're breaking the rules and will be penalized starting Feb. 1, but marijuana caregivers say stricter enforcement will be hard on patients. Maine plans to start cracking down on the growing number of labs and kitchens that specialize in turning cannabis into a product that doesn’t have to be smoked. The state Department of Health and Human Services says processors, labs and kitchens that turn caregiver cannabis into manufactured products such as foods, oral tinctures, topical salves and vaporizer waxes for medical marijuana caregivers are breaking state rules and will face harsh penalties, such as losing their caregiver license or referral to law enforcement. Inspectors are warning caregivers that the crackdown will begin Feb. 1. Processors, caregivers and patients want to fight the crackdown, saying it would end a startup industry that makes high-quality, potent concentrates – in an environment that is safer than do-it-yourself basement operations – and that helps patients who don’t like to smoke their medicine. They may ask a legislative committee that will have to sign off on rule changes to amend or overturn the processing ban. At the heart of the controversy is the state’s insistence that only a caregiver and one employee can touch any medical marijuana given to a patient. That prohibits the sale of cannabis-infused products that someone else makes and supplies to the caregiver, essentially forcing caregivers to make their own edibles, tinctures and other products. Julia doesn’t see anything in state rules that forbids the system of back-and-forth donations that labs and edible makers rely on to manufacture marijuana products. He had been worried that the new rules were outlawing this system, and hoped that a department clarification issued last Friday put processors in the clear. However, a DHHS spokeswoman reached Saturday, after the online rule clarification was posted, insisted the donation-based processing system is deemed illegal under current state rules. The confusion on what is allowed and what’s not is widespread among industry insiders, patients and the public. DHHS hasn’t held a public education session to explain the rules. It doesn’t grant media interviews, either, and its one- and two-sentence emailed replies to reporter queries often don’t answer the questions asked. The agency inspectors often interpret the rules differently, so caregivers across the industry get conflicting advice, their lawyers say. In Maine, caregivers have developed a back-and-forth donation system that has allowed processors to avoid prosecution. It begins with caregivers donating pot to a lab. The lab then conducts the extraction and donates everything back to the caregiver – the concentrate, the stripped-away plant material, even the dregs. The caregiver pays the processor for the service, not the pot, and then sells the concentrate or a product made from the concentrate to his or her patient. The rule change could force a lot of caregivers to start doing their own extractions and baking, which consultants warn can be dangerous, or refer their patients to dispensaries that are allowed to hire an unlimited number of employees, including chemists to do in-house extractions. But the patients will likely have to pay more for their medicines at one of the dispensaries, which have higher overhead costs and a monopoly on these products that can allow them to charge a higher price. That position seemed to soften Friday when an item was posted in the medical marijuana FAQ section of the website of the Maine Centers for Disease Control and Prevention. The notice said DHHS had made a mistake on that particular rule, and that it didn’t intend to restrict the resale of donated marijuana when the new rules take effect. But the state’s interpretation of the medical marijuana law was echoed Tuesday by Hannah King, an attorney with Drummond Woodsum who specializes in marijuana law. She said a court would be likely to back the department, viewing the exchanges of flower, concentrate and money between caregivers and processors as a single transaction. The number of businesses engaged in this unregulated processing raises significant health and safety concerns, King said. Drummond Woodsum believes the Legislature has an obligation to address this issue and could do so by expediting the recreational marijuana market, which would license extraction labs and edible makers that would likely serve both the medical and adult-use sides of the market. Interpretations aside, caregivers claim that DHHS inspectors never enforced processing restrictions, Julia said. But now, inspectors have told some caregivers that they should be prepared to prove they made all their own products during any inspections that occur after the new rules go into effect. “Eliminating second-party processing would be the equivalent of telling a patient you now need to formulate and compound your own pharmaceuticals,” Julia said. 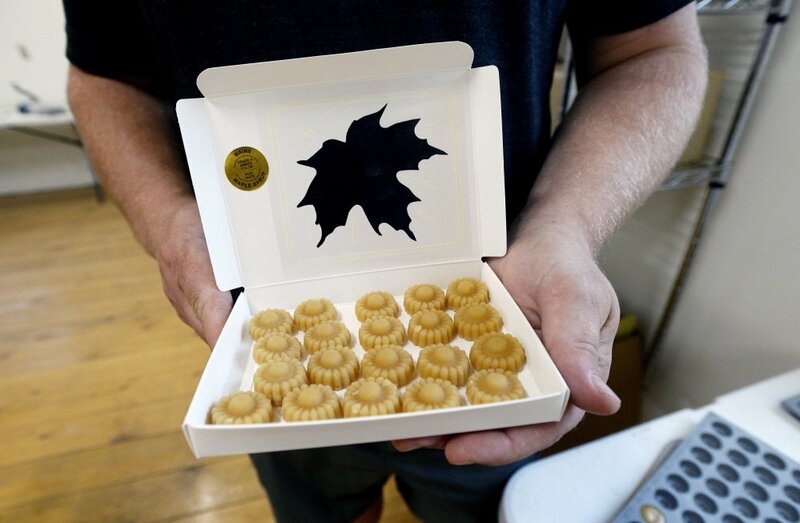 The uncertainty has created fear among some of the biggest names in the state’s fast-growing marijuana edibles market and the behind-the-scenes extraction industry. More than a dozen lab operators and processors were interviewed for this story. Some abandoned their “civilian” jobs to get into this field, hired chemists, technicians and staff, signed leases for warehouses and commercial kitchens, and invested big money on extraction equipment needed to manufacture these concentrates and confections that many of the state’s 3,200 caregivers sell to their patients. A carbon dioxide extraction machine can cost up to $500,000, for example, and banks don’t hand out loans for machines that make marijuana products, which are all still illegal under federal law. That means lab operators and processors are spending their own money, or that of their private-market investors, to get into this business. And if they fail, they would not be able to declare bankruptcy, because the federal bankruptcy system cannot liquidate or restructure cannabis assets. “This just made me sick to my stomach,” said one wholesale edibles-maker who asked not to be identified for fear of drawing DHHS inspections. Medical marijuana processing began with patients who were too sick to grow their own marijuana and instead hired a caregiver to grow their medicine for them. Some patients didn’t want to smoke their medicine and preferred odorless topicals, smokeless vaping or ingestible foods, oil or tinctures. Some needed the power of a concentrate. While some caregivers learned to do that, others turned to caregivers who began to specialize in extracting the oils from cannabis, using solvents ranging from water to ethanol to butane to strip away everything from the plant they didn’t want and leave them with the concentrated parts they did, like the psychoactive element THC or the cannabinoid CBD. They would put the oils in capsules, vaporizers or foods ranging from cookies to soda to barbecue sauce. But there is no medical marijuana processing license in Maine – the caregivers who specialize in this field submit to the same kind of cultivation, documentation and sales review as the caregivers who sell unprocessed pot. Their manufacturing setups are neither inspected nor regulated. The state lawmakers tasked with setting up the rules for the voter-approved recreational marijuana market are calling for a processing license on that side of the industry, but those wouldn’t apply to the medical side. Despite the risks involved, processing marijuana products, especially edibles, is one of the fastest-growing sections of the marijuana industry. In states where adult-use cannabis is legal, edibles represent 10 percent of the total market, and that number is growing fast. Mainers bought $2 million worth of edibles at medical cannabis dispensaries in 2016 – about 7.4 percent of the $26.8 million in total sales. The year before, they bought $1.2 million, or 5.4 percent of total dispensary sales. More changes could yet happen. Although the department says the rules are final, state Sen. Eric Brakey, R-Auburn, said they need approval from the Health and Human Services Committee, which he co-chairs, before they become permanent. Caregivers already have raised concerns about the new rule that allows surprise inspections of caregiver grows and new rules they believe will put medical marijuana patients’ privacy at risk, Brakey said.